as a place for the Remembrance of Allah. ......- as an outward example. ......- that is the Kaaba. 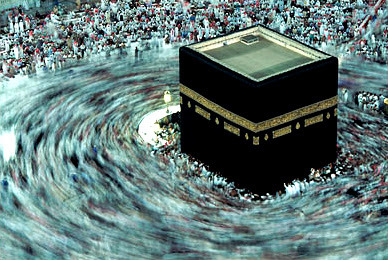 "The Kaaba is in the middle of the world. each is worshiping the soul of each."